Opening this month in cinemas Australia-wide, Book Club is the romantic comedy centred around four older women who regularly meet in a book club. 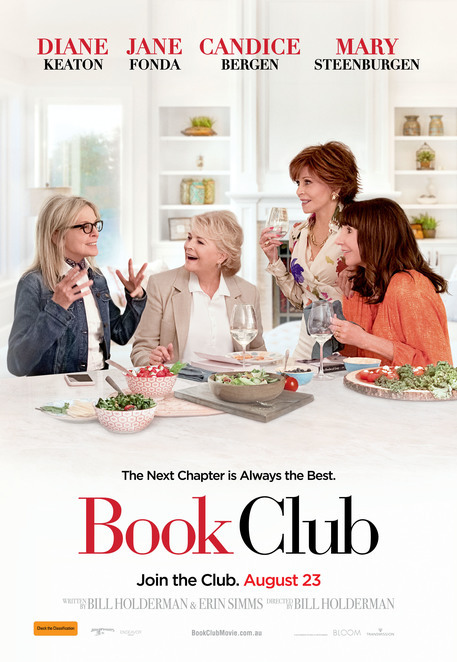 Diane (played by Diane Keaton) is recently widowed after a long marriage, Sharon (played by Candice Bergen) is still struggling to accept her divorce from decades ago, Carol (played by (Mary Steenburgen) is experiencing a serious marriage slump and Vivian (played by Jane Fonda) is the carefree single who enjoys he relationships without attachments. Their latest choice for book club is the infamous 50 Shades of Grey which leads them all into a variety of comedic and outrageous situations. 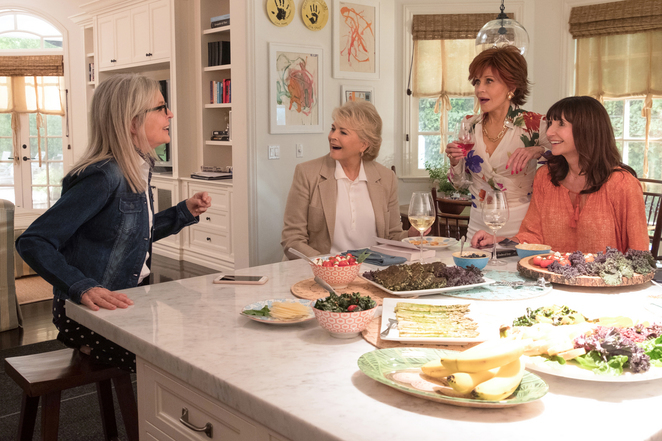 It's a light-hearted comedy that will no doubt appeal to an older female demographic and no matter what your stance is on Fifty Shades as a book, the movie is an easy watch with these veteran actresses bring back comedy reminiscent of The First Wives Club. Sure, there are a number of shameless plugs for the book, but all up this one is an easy watch. It's a solid choice to enjoy with your girlfriends. It's rated PG-13 and runs for one hour and 44 minutes.